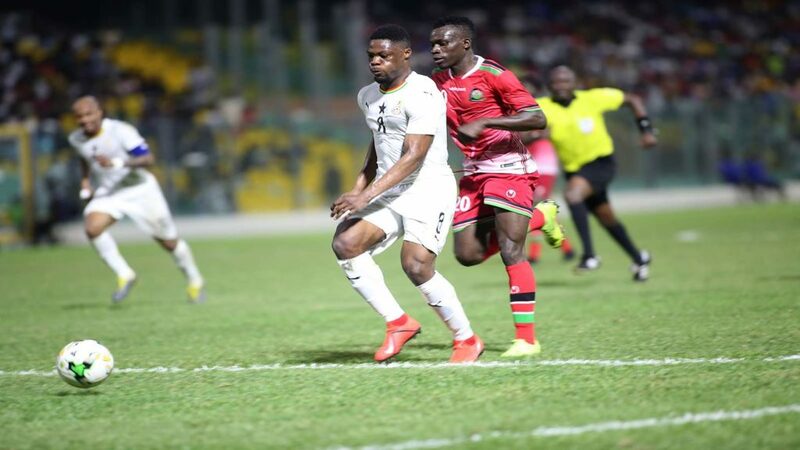 Ghana’s Black Stars have qualified for the 32nd African Cup of Nations, Egypt 2019, as winners of AFCON Qualifying Group F.
The Stars put up a determined and spirited performance to defeat the also qualified Harambee Stars by a lone goal to nil in their top of the table clash at the Accra Sports Stadium on Saturday night. Birthday boy Caleb Ekuban marked his debut for the Stars in style with an unstoppable 83rd minute pile driver which thrilled the vociferous home fans and secured all three points and the all-important top spot for Ghana. Finishing in pole positon now ensures that the Black Stares will be one of the top seeds for April’s AFCON draw; with the recently revamped 24 team tournament slated for June this year. The Professional Footballers Association of Ghana (PFAG) extends its hearty congratulations to the entire team for their hard work and excellence throughout the tough qualifying process. We encourage head coach Kwesi Appiah and his men to leave no stone unturned as Ghana seeks that elusive 5th AFCON crown in Egypt.